Krovinovic: "I felt reborn when I touched the ball"
Benfica's attacking midfielder is almost ready to resume competition. He is working to come back strong in October. 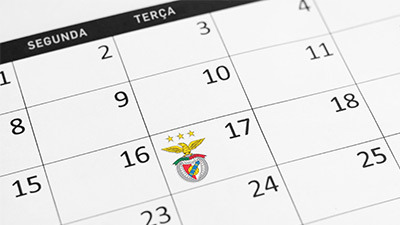 October is the expected month for Krovinovic's return to the competition with Benfica’s jersey. In an exclusive interview, the midfielder details every step of the recovery. Precisely for not giving any ball as lost, Krovinovic picked up an injury on his right knee on the night of January 20, 2018, in the dying moments of the Benfica-Chaves, from gameweek 19 of the Liga NOS, an encounter which the Eagles won by 3-0. The midfielder committed himself to recovery and the return to the pitches is near. In the last two months, Krovinovic has already worked with the ball, a broadly encouraging scenario. "It is almost time, I have already done some things with the squad. I feel very well and very soon I will be with my teammates. I have a great desire to go back to help the team," said the player. "In the first contact with the ball, I felt reborn. It was like I had just started playing football, it was like it was the first day of my career", admitted the attacking midfielder of the eagles. "In the last two weeks, I have already done ball possession as a joker. I feel very well in the legs and in the head. I feel the return is quite close. Of course that the confidence is not a 100 percent at this moment, but every day I gain rhythm. I hope to be able to play a few minutes in October", revealed Krovinovic. 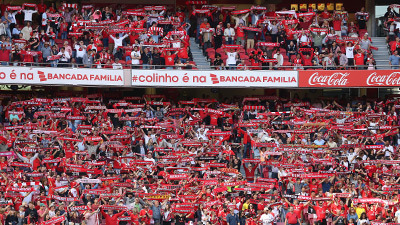 In August, Benfica fought to secure the access to the Champions League group stage. The Croatian received with joy the news of his registration in the list of players that will participate in the competition. "I was very happy when I saw the registration. Every player wants to be in the Champions League. When I get back, I hope to play my first minutes in that competition. It will be a dream come true", he confessed.